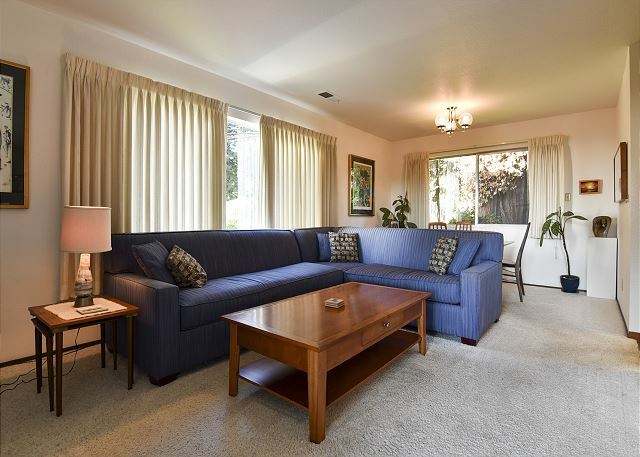 Living room area with large, comfortable sofa. Gorgeous bay view from the new back deck. Spacious first living room area. 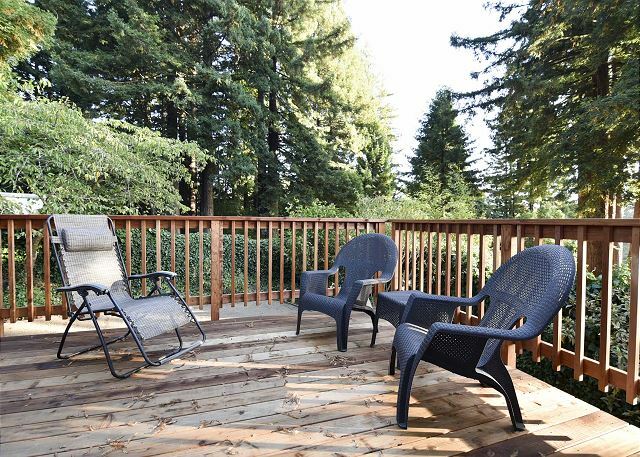 Newly built, private back deck, under the redwoods and overlooking a small, fenced backyard. 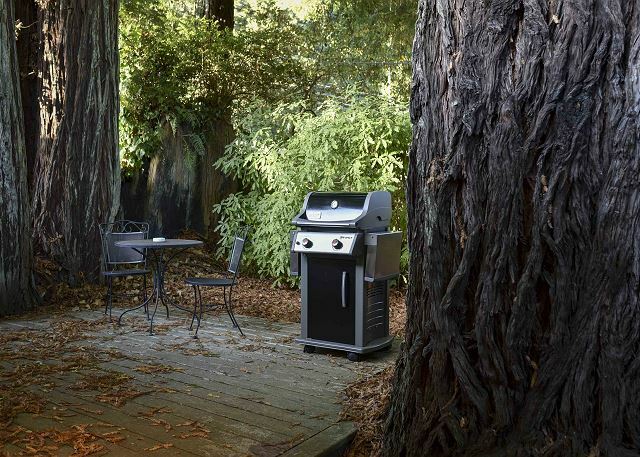 BBQ uder the old growth redwoods! Side walkway leading to back deck and yard. First bedroom with a queen bed. 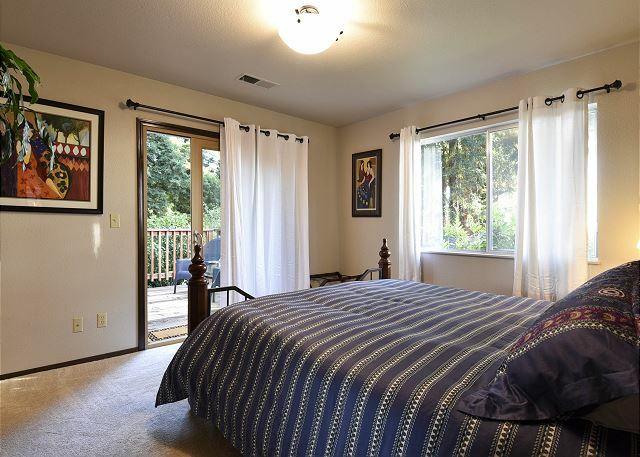 Master bedroom with King bed, walk in closet, private bath, and sliding doors to the new deck! View of the deck from the master bedroom. 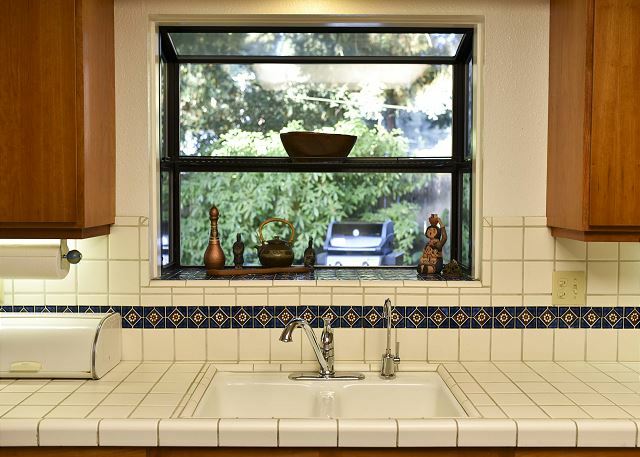 Kichen window looking out towards the deck and the redwood trees. 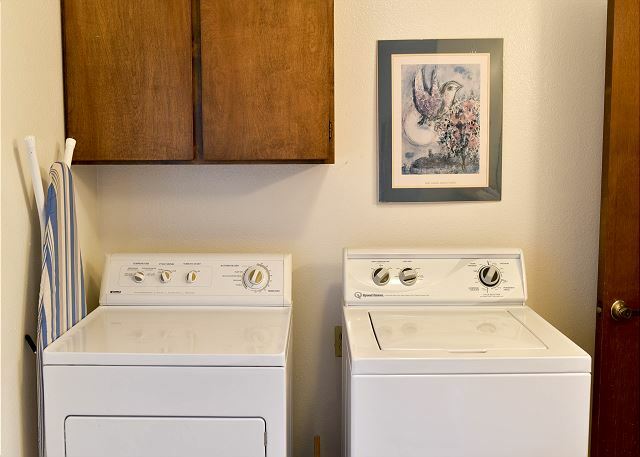 Washer and dryer are available. Downstairs bedroom with King bed and gaming TV. 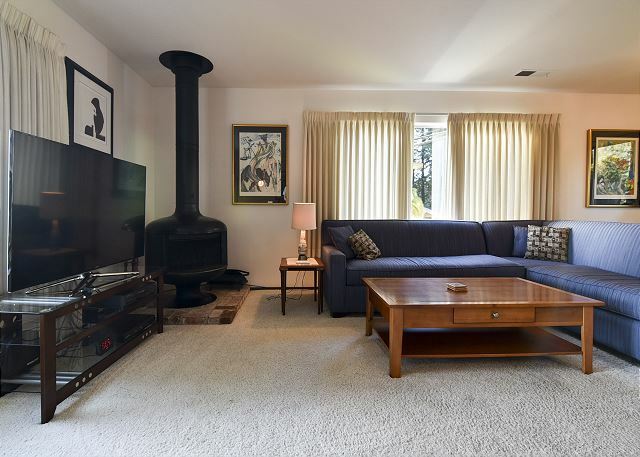 This spacious and clean 3 bedroom, 3 bathroom home is perched along side Arcata’s sought after Park Ave hillside with gorgeous view of the Humboldt Bay. This is a perfect getaway home for families or couples traveling together. 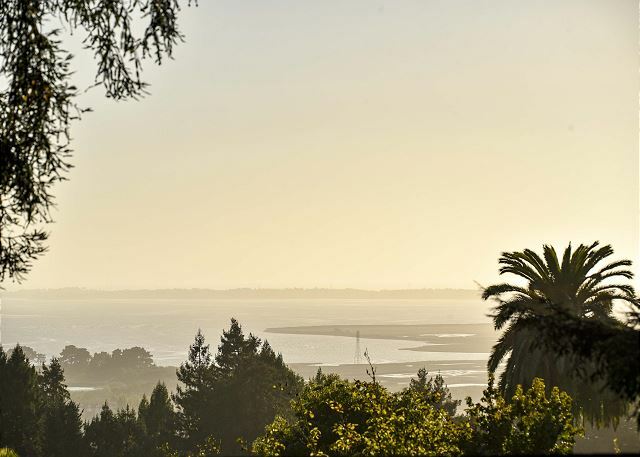 Watch a Redwood Coast Sunset from one of your two private decks! This home features 3 bedrooms, two of which have Cal King Beds, and 3rd bedroom has a one queen. 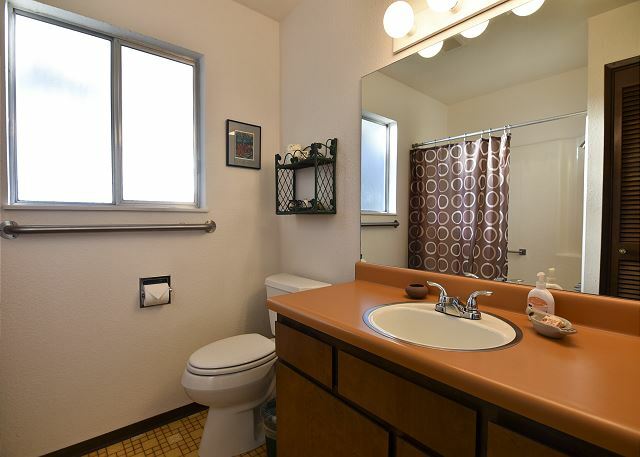 There’s also two spacious living areas, a full kitchen with all the necessary amenities, and 3 full baths. 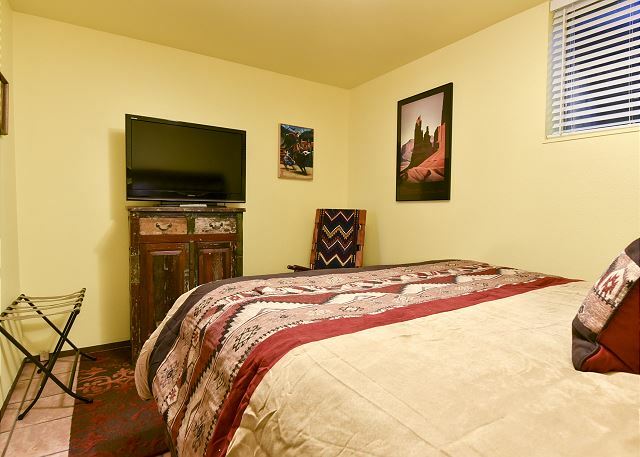 Amenities include cable TV, highspeed internet, BBQ, full kitchen, 3 televisions and much more. Please note that the price for 4 persons or less is just for 2 bedrooms. If the 3rd bedroom is needed, an extra cleaning time & supplies fee is applied. This home features a garage, however, guests do not have access to the garage. Also, keep in mind that there are only two available off street parking spaces. Also, security exterior security cameras are in progress for your safety. 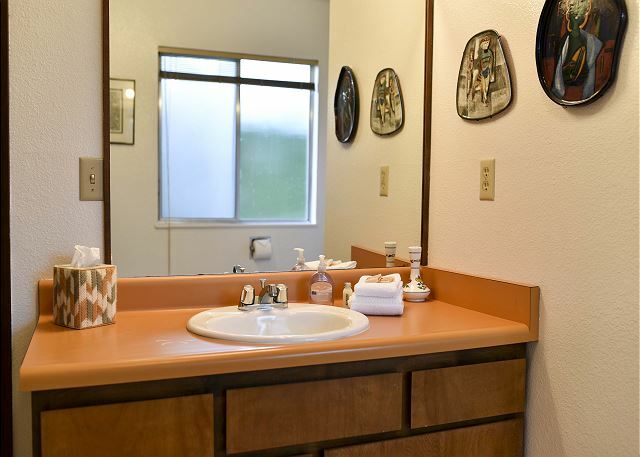 Hillside Views is Located just blocks from Arcata’s Redwood Park and Humboldt State University. Take a quick drive to town where you can find groceries, shops, and Arcata’s Farmers Market. 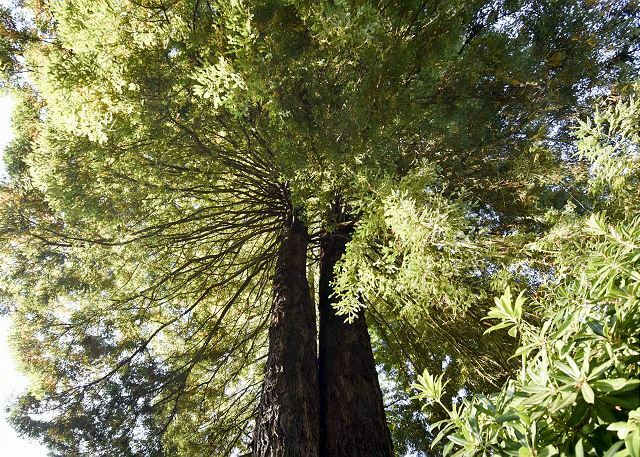 Arcata is a perfect location for a Redwood Coast Excursion. It’s 10 miles south of the gorgeous beaches of Trinidad, 30 miles south of Redwood National Park, 50 miles north of the Avenue of the Giants, and 7 miles north of Old Town Eureka. Lovely home. Very comfortable with great views from every window. Nice kitchen to cook in with plenty of pots, pans, bowls etc. second time renting this house. Didn’t even look any further. Thank you so much for leaving a review of your time at the property. I'm so happy you've returned to visit the property again. This is truly a wonderful home in a great location and big enough for a large group of family or friends. Thanks for taking time to leave a review, we love getting feedback! Please look us up at Redwood Coast Vacation Rentals when visiting the North Coast again! We look forward to having you back a third time! Great home in good location! Comfortable beds and plenty of towels! The Arcata community forest is an amazing gem and a must see! I love Hillside Views also, it is just a beautiful home minutes from downtown Arcata, but far enough away for quiet nights. Please look us up at Redwood Coast Vacation Rentals when planning your next trip to Arcata, we look forward to your return! Spent 3 days in Arcata. Had a wonderful time! Arcata is a neat town - many coffee shops and the like. Truly enjoyed it. Drove north to see redwoods and then south to see more. Highly recommend the location! As an aside, small issues we noticed with the house were promptly fixed. The rental agency was very responsive. Thank you Gerrit for taking time to leave a review, we really appreciate our guests giving us feedback about their stays! We would love to have you back to Hillside Views anytime, and what a beautiful home it is! Please look us up at Redwood Coast Vacation Rentals when planning your next trip to the North Coast! We love this place!!! 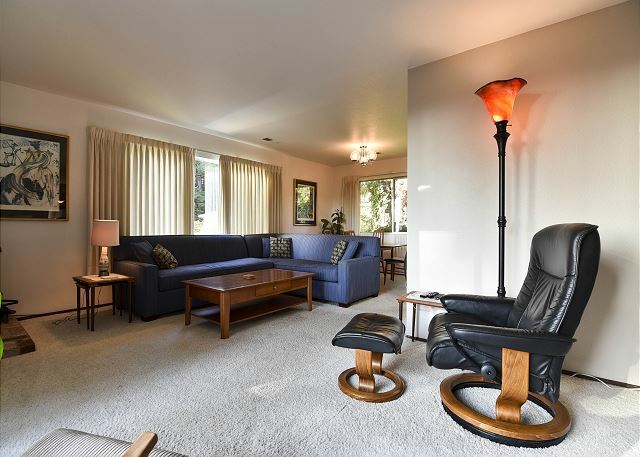 A very cool mid-century home with all you need! We loved the location and the space in the house! We have been traveling to Arcata for 25 years to see our brother and this was by far the best place! We can not wait to come back. Thank you ! I,m so happy to hear you found the perfect fit for your recurring visits to the area! 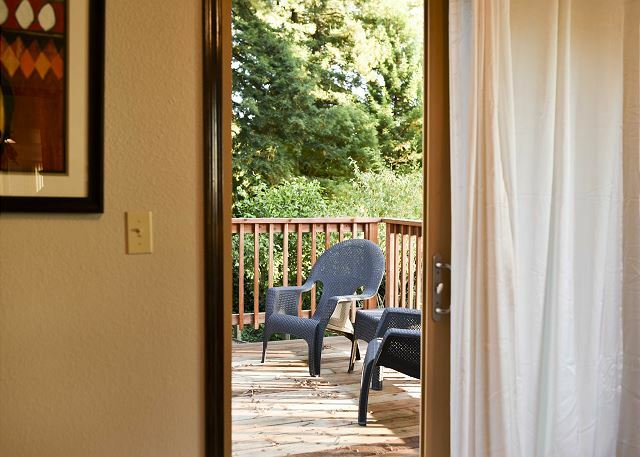 Hillside Views is a beautiful, spacious home near the heart of downtown Arcata, but walking distance to some beautiful trails in the redwoods. We would love to have you back soon, thanks so much for taking time to leave a review of your stay, and we look forward to seeing you soon here on the North Coast! Awesome! Pictures don’t do the home justice. Very comfortable beds, living area and lovely views. 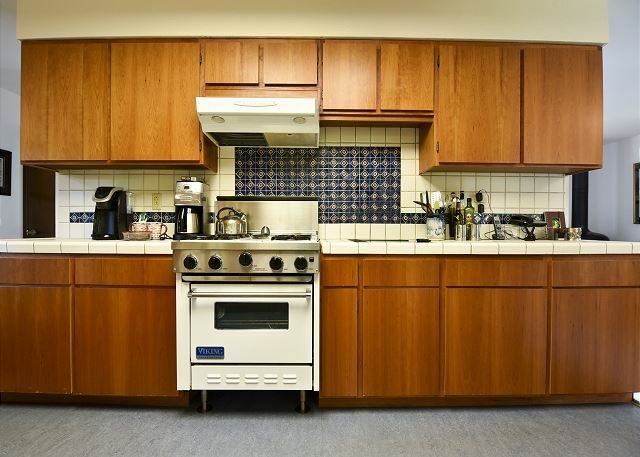 Kitchen was well equipped and a pleasure to use. I would definitely stay here again. Wonderful! So glad you loved Hillside Home with Bay Views. It is a gorgeous home, and we'd love to have you back soon. Please look us up at Redwood Coast Vacation Rentals when planning your next stay! We had a great stay here. The house was very nice. Large but still felt warm and inviting. Very clean. Great location near the college in a nice neighborhood. Some stuff (bathrooms etc.) are dated but everything was in good working order. Cleaning fee is too high, but a nice option in Arcata. Hi Jeff, thanks so much for taking a moment to leave a review of Hillside Views. We always appreciate the feedback we receive from guests and take it to heart. 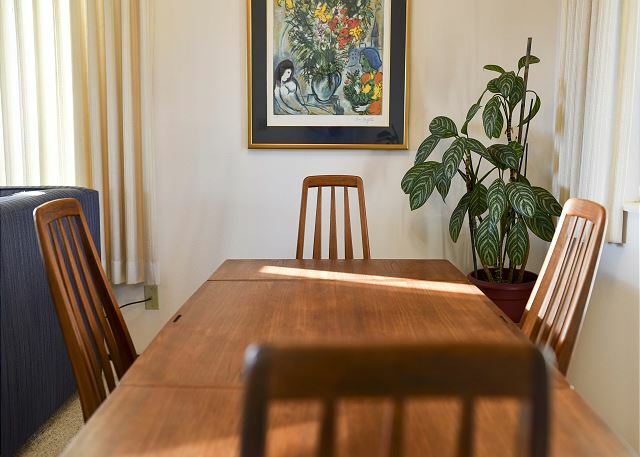 Concerning the cleaning fee, we have a formula we use based on the square footage of the entire home so that the cleaners are being paid fairly, and as Hillside Views is a very large home, it takes longer to clean properly. We do appreciate your input, and we would love to have you back soon here on the North Coast. Please feel free to look us up at Redwood Coast Vacation Rentals for your next stay, with over 100+ properties, there is something for everyone! Convenient to what we were doing. Plenty of room for the six of us. Very cozy and comfortable. Thanks so much for leaving your thoughts regarding Hillside Views! We would love to have you back the next time your on the North Coast. Hillside Views is tucked into the redwoods, but so close to shops, not to mention fabulous trails for hiking and exploring! Please look us up at Redwood Coast Vacation Rentals the next time you are heading to Humboldt! We had a very nice time visiting our son at HSU. 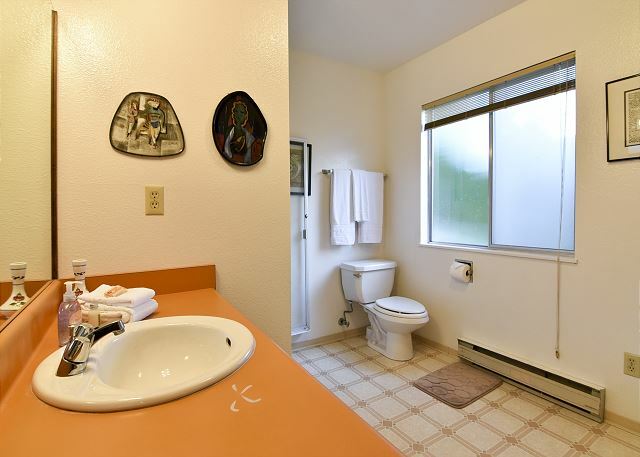 The house is minutes from campus and centrally located to take advantage of beautiful north coast area. Hillside Home is a very beautiful home. We feel lucky to have it included on our list of properties. 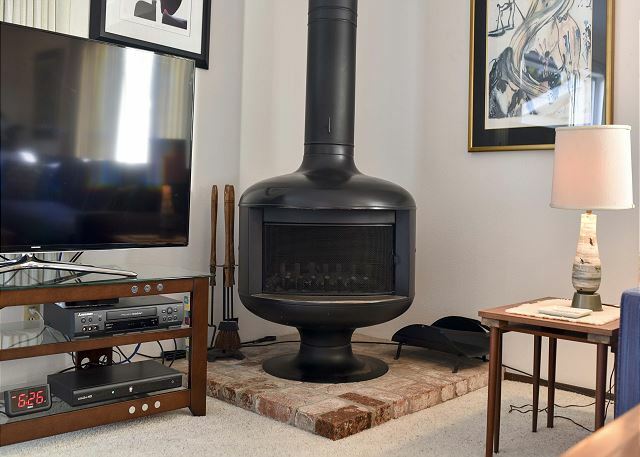 The furniture is mid-century, and the home has lots of character throughout. Perfect for a large family gathering, or friends wanting to share accommodations. 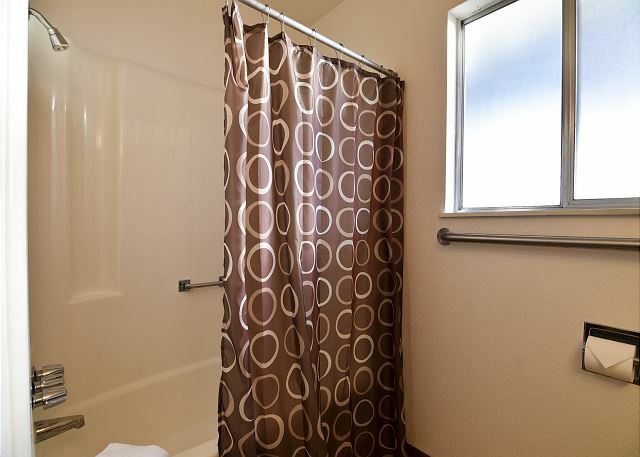 Located just minutes to trails throughout Redwood Park, your sure to enjoy your time spent here. Thanks for taking a moment to leave a review, and we look forward to having you back soon! Came to your rentsl to escape smoke in Oregon, we had thee best time, beautiful house, excellent location! It was perfect for our family, grandkids lived going to community forest park! great view! we will totally stay there agsin! Wonderful to hear! Thank you for taking the time to leave a review with us, and we are so happy to hear you enjoyed your stay at Hillside Views. 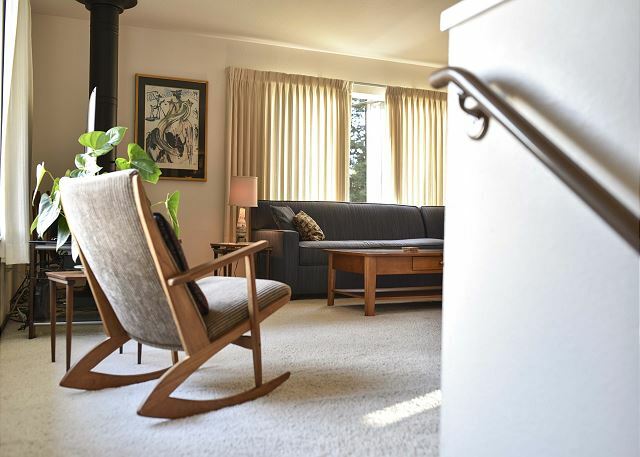 We love Hillside, it's such a beautiful home, with a mid century feel. We look forward to seeing you again, and we hope it doesn't take another fire to have you back! Please visit Redwood Coast Vacation Rentals when booking your next trip to the North Coast! Thank you Faiza for taking the time to write a review! We're very happy you enjoyed Hillside Home, it is a beautiful home in a great neighborhood with lost of charm within. Thank you for your compliment regarding service, having happy guests is the number one priority here at Redwood Coast Vacation Rentals. Please come back and see us soon at Hillside Home, or please go online to see any of our over 100+ homes here on the North Coast! We had a wonderful vacation at the Hillside Home. The home was comfortable and spacious. The bed mattresses were very comfortable. We woke up feeling refreshed after a very long drive from San Diego. I would highly recommend the Hillside home to anyone coming to visit Arcata. It exceeded my expectations. Thank you so much for the wonderful stay!! Thank you! We appreciate you coming to stay with us at Hillside Home! People just love this place. We look forward to your return to Redwood Coast Vacation Rentals, a 100+ accommodation company.